For readers of my blog, my love of books and reading is undoubtedly apparent. I am also an aspiring writer. 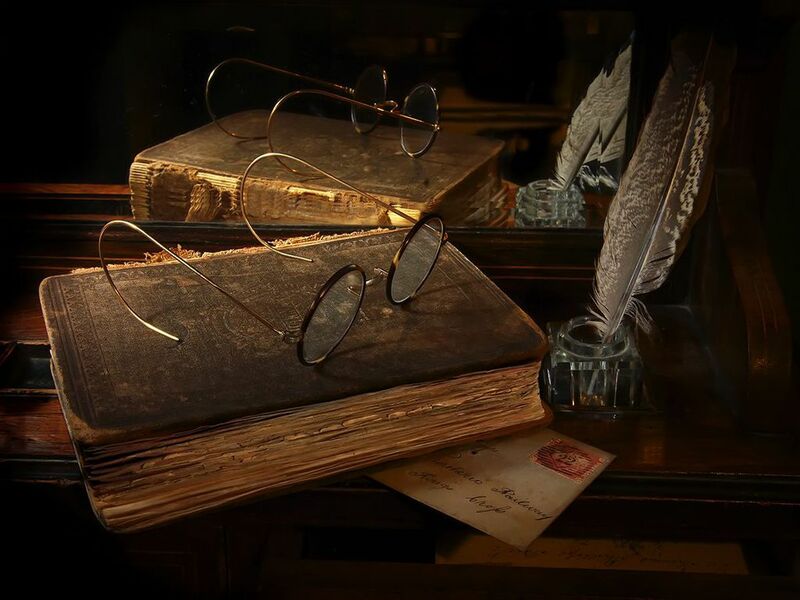 Though I write for my blog, and I’ve written plenty of essays I want to reach deeper into my well and bring forth creative and compelling fiction. I want to be a crafter of words that envelop, that entrance, and that transport readers. I am eager to find within myself a story that begs to be told. One that may be unwieldy, and as of yet simply amorphous wisps of fog. I know if I can but harness those fleeting ideas, then with time and passion I can shape them into what will hopefully become fully formed, charismatic characters that pop from the page and descriptive prose that immerses readers in the world I have created. It is my ardent hope to find and unlock these stories within myself. I know that they reside within me-I can feel it each time I pick up a pen to write as the words burst forth from my fingers, seemingly under someone else’s control. I must read and write with a fervor and a hunger that has no bounds. Only then will I find the writer within. It has been too long since I have put pen to paper to write fiction. During my college years I wrote children’s stories and fantasy stories and was amazed at the words that poured out of me. My characters became as dear to me as my oldest friends. This, I believe, is an affection only writers can truly understand. I am ready to get back to that place again as I begin my next quest into fiction writing with a children’s series featuring a mischievous duck that I hope will capture the hearts of children. I recently had the pleasure of meeting an exceptionally talented mystery author, Ian Rankin, at a reading from his latest book, The Saints of the Shadow Bible. I was not brave enough to raise my hand during the Q&A session following his reading, but I plucked up the courage to ask my question when I met him. I began, “I’m an aspiring writer, and I know that you have a PhD, but I was wondering if…” “If I ever took a creative writing class?” he finished my sentence before I could. And his answer, no. This prolific and best-selling author simply read voraciously, carefully studied the worlds created by other authors, and looked for a space he could call his own. He advised me to do the same. It was a relief to hear him say that formal training is not necessary, but at the same time it also makes the task I’m setting myself to all the more daunting. I cannot simply take a class, perform well, get my “A’s” and then be equipped to delve into the world of fiction. Instead, I must find a way to bring a new and compelling voice to readers, one they can identify with and be swept away by. I truly believe that if you are a writer, you write. It is an inherent characteristic, part of your genetic makeup. Of course, that is not to say that you can’t hone your craft. There are always ways you can learn and grow as a writer. But to me, I believe the greats, those paragons of literature that create a lasting imprint on readers–they are born with it . Though I could not hope to be one of those names that transcend time, I do hope to find the stories within me, share them with readers, and make an impact in some way on their lives. Authors are keen observers, constantly watching the world and the people around them. It is out of these observations that characters begin to form, and worlds come to life. Imagination is of course something no good writer can be without–the ability to see the extraordinary amidst the ordinary. I know that I have it within me. I’ve just yet to find the tap. The only thing to do is to read and write with abandon. To soak up all the glorious greatness of other writers, to let the words pour from me like a dam set free, and to dismiss any fear that they might be inadequate. In doing so, I will find my voice, my space, and my story. Of course while I’ve been immersed in study, the dynamic world of publishing has gone through many twists and turns. Suffice it to say, I’m well aware that there is much industry news to catch up on, including the most intriguing story of the pseudonymously authored The Cuckoo’s Calling. I know that I’ve certainly missed the boat on the “breaking news” aspect of this delightful story, but as an ardent fan of Ms. Rowling, it would be impossible for me to not write a gushing post about her exciting new venture into the world of mystery. An apt weaver of interlocking stories, with an uncanny skill for tying the most seemingly unremarkable tidbits of information into an intricate overarching tale, I am certain that Rowling’s mystery will thrill and delight with the same intensity as her fantasy. When I first read the news in Publishers Weekly that the author of the series of books that had the most formative impact on my childhood, youth, and let’s face it adulthood was authoring a new series my book lover’s heart gave a distinct flutter of joy. I had to smile at her statement to BBC News that “being Robert Galbraith [was] such a liberating experience.” She also spoke of the joy of “publish[ing] without hype or expectation, and pure pleasure of getting feedback from publishers and readers under a different name.” A celebrated novelist with worldwide acclaim, she did not want her latest work to be picked up based on the notoriety associated with her name and her previous literary successes. Instead, she wanted to inspire that exquisite curiosity and hunger in readers, to ignite their bookish passions based solely on the innumerable merits of her artful mastery of the written word and to discover the world created by a seemingly unknown author. I find this to be yet another feather in her cap as a true writer. Under the pseudonym Robert Galbraith, The Cuckoo’s Calling made it into the hands of approximately 500 people, according to Publishers Weekly. Once her secret was out however, Rowling’s mystery skyrocketed in sales by “5,000 places to top Amazon’s sales list.” Of course there was something quite suspect about a novel crafted with all the telltale signs of a veteran, purportedly authored by a novice and she was certain to be found out sooner or later. 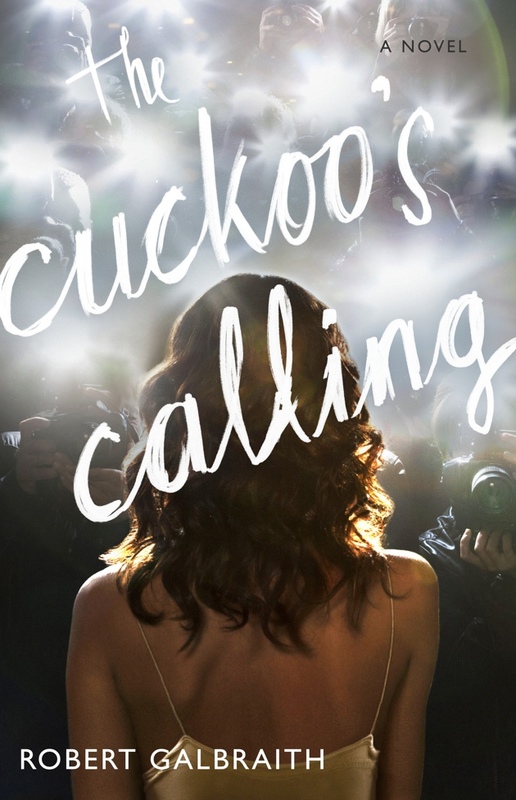 The hype surrounding The Cuckoo’s Calling emptied bookshelves across the nation. The original 10,000 print run was clearly going to need some serious augmentation, and publisher, Little, Brown did just that when they went back to the presses for an impressive and merited 300,000 print run. I am overdue for a trip to the bookstore to purchase my copy of The Cuckoo’s Calling and sink into Rowling’s intriguing new tale. A master of language, characters, and plot development Rowling is certain to have woven that indefinable literary brilliance that is so distinctly her own into the tale of war veteran turned private detective, Cormoran Strike and his quest to unearth the truth behind the death of a famed model. With book in hand I will retreat into a hibernation-like state, ignoring all those around me, completely engrossed in the world of Rowling’s creation. The immersive and absorbing quality of her writing is what makes her such an incredible writer, and my personal favorite. I’m predicting another series that will take the reading world by storm, that will add fuel to the passions of ardent readers, kindle the flames of lapsed readers, and ignite the curiosity and excitement of new readers. How can I predict such a phenomenon? The Cuckoo told me so.